What a super cute birthday card. 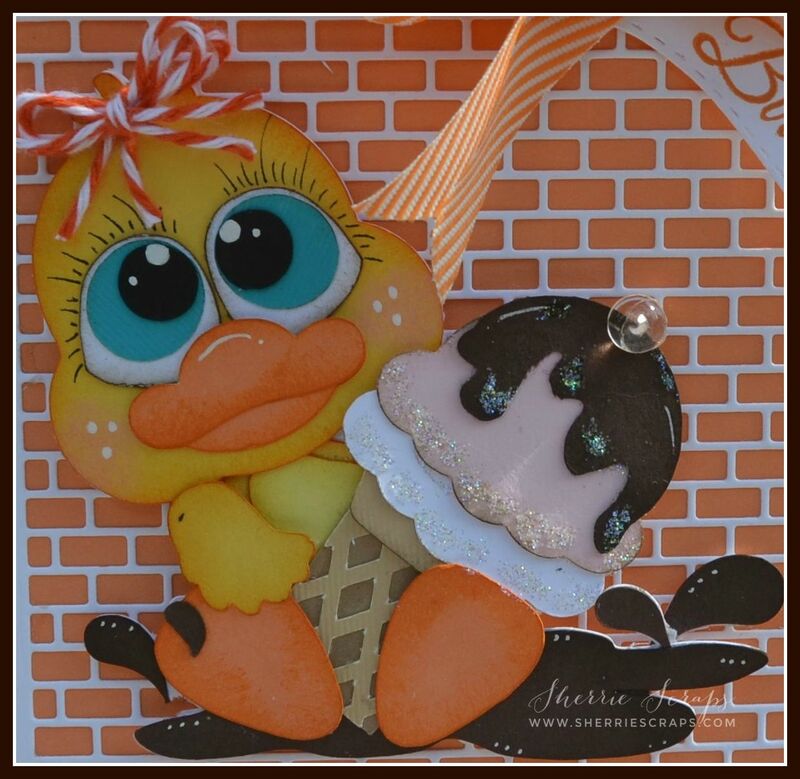 The ice cream looks good enough to eat.the ducky is adorable.thanks for joining my DL.ART THANKFUL THURSDAY #162 BIRTHDAY CHALLENGE.have a blessed day, my friend. This birthday card is so adorable and sweet! Love that ducky and her yummy ice cream cone! The DV brick background die looks great behind her! Thanks for playing along with us at Scrapy Land Challenge #23! Adorable birthday card Sherrie! Such a cute little critter! Love the eyes! Oh my gosh, Sherrie, this is the ca-utest card!! That little ducky is adorable with her pretty hair bow and her yummy looking ice cream cone (it really does look good enough to eat!!) Her lashes and rosy cheeks are fabulous!! And I just love the DV Bricks die!! It looks amazing!! This is so fabulous my friend!! 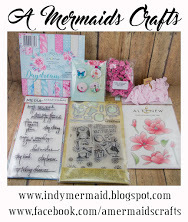 Thanks so much for linking up at Scrapy Land!! Oh my heavens, this is adorable. I recognized the ribbon right away as May Arts Ribbon. Love that chevron design and yes, PPP carries May Arts! And fabulous color choice and placing of the Skittles. Basically, I could just eat this card right up. ;) Thanks for joining the DoubleClick Skittles challenge. This is sooo super fun! I am so loving that brick background! It is going on my wishlist for sure!! Have a great weekend! I will be emailing you soon to set all the plans for your visit! Yah the group is growing, recruited a bunch of locals to join the fun! Thanks for joining us over at the DoubleClick Skittles Challenge! DT Member Carri~Abusybee Skittles! Oh wow ... this is SUPER CUTE! That little ducky is so cute, love her eyelashes! The ice cream cone looks so delicious! I love that brick die cut, really pops against that beautiful orange color. And the ribbon matches perfectly and adds that perfect touch to finish off the card. Whoever receives this card is going to be smiling ear to ear! I hope you have a wonderful time at the weddings this weekend. Take lots of photos and if you can, post a photo or two of little Arya all dressed up with her flower basket. I bet she will look absolutely gorgeous! Enjoy the weekend my friend! Thanks so much for playing along in our 100th Funday Friday challenge and good luck on the prizes up for grabs! This is as cute as can be! Loved it when I saw it on the Scrapy Land Facebook page. 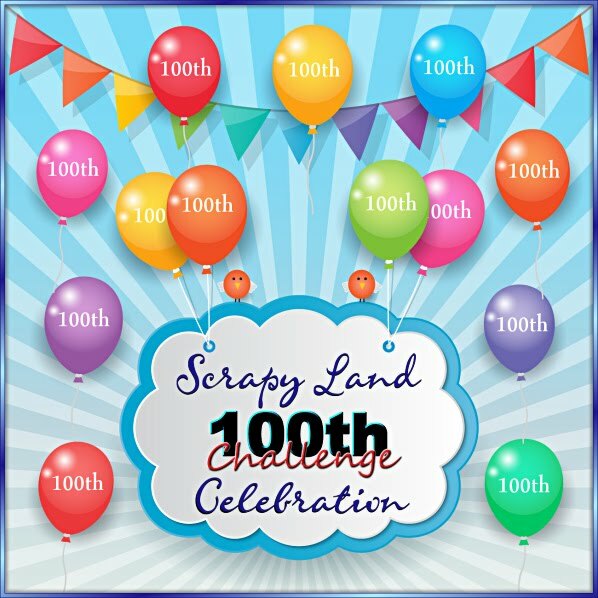 So glad you shared it with us for the Scrapy Land Challenge. Oh is this ever adorable!! Just love the colors and that big beautiful bow. Love the brick die!! Have a fabulous weekend and be sure to share photos of sweet Arya as a flower girl!! What a little cutie patootie! 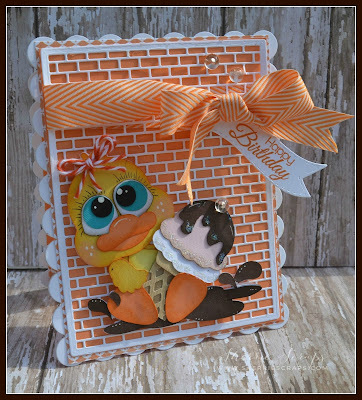 The brick wall die looks great and the little ducky is adorable! Oh my cuteness!! Love the eyes and the background on here is so fun! 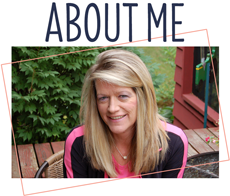 You are amazing Sherrie! I just love this little ducky!!! And that brick bg is awesome!!! Love the colors, too! Adorable card. I love the cute duck eating the ice cream! The duck is too stinkin' cute!!! I absolutely love all the orange!! My favorite color!! Orange & Green!! Adore the beautiful bow and gorgeous background!! love ht fun details of the tag and twine!! The eye lashes are TOO CUTE!! This is AWESOME my friend!! Oh my goodness....this is some card! I love all your wonderful die cuts and I love that you used Skittles too. Just as sweet and adorable as can be. Thanks for joining us at DoubleClick Skittles. This is so adorable Sherrie ! Wonderful colors and details ! Sounds like you are going to have a wonderful weekend ! I can imagine how beautiful your granddaughter will look as a flower girl ! Hope you have an amazing time ! It was 119 here yesterday!!! UGH!!!! Miserable!!!! I love love love this! 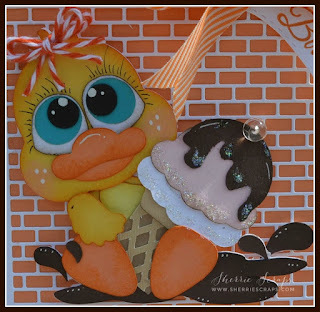 LOVING that ducky, the ice cream and that fun brick wall!!!!!!!!!!!! Oh my goodness this is beyond adorable. Everything about this card is perfect. Thank you for sharing him with us over at funday friday at Jo's scrap shack. OMGoodness Sherrie, this is so cute, I love the little special touches you put on the card and the brick wall behind him looks gr8t! Cute, cute card with awesome details like the wonderful coloring, that beautiful ribbon, and the cool looking background for your fun image!!! So excellent!! So very glad you joined us for the Food Challenge over at DoubleClick!! We are so glad you linked up with us!! Hope to see you again soon!!! Sweet card, I love the background. Super cute. TFS and joining us for the 100th Funday Friday challenge. Your card is beautiful! 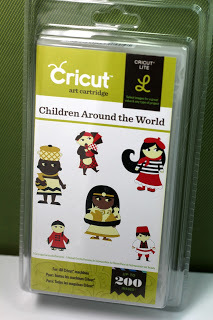 Thanks for joining the challenge @ Cut It Up! What a super cute Birthday card!! Love the adorable little duck and pretty background!!! Have a great day. Soooo cute! I love your ducky! The brick DP and ribbon are wonderful!! Sherrie ~ over the top ADORABLE, CUTE and just makes me smile!! Oh my I am not even going to talk about the die again... nope not going to! LOL! OMG Sherrie! This is so ADORABLE!!! I LOVE LOVE LOVE this card! Oh just the sweetest card! I love that adorable duckie!